It is finished! This was a lot of piecing, a lot of quilting, and for some reason, the binding took me forever, but I am thrilled with how it turned out. I did straight line quilting with my lines every 1/4 inch to about an inch and a half a part. 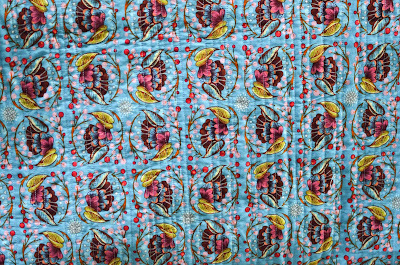 I really like the texture that it gives to the quilt. 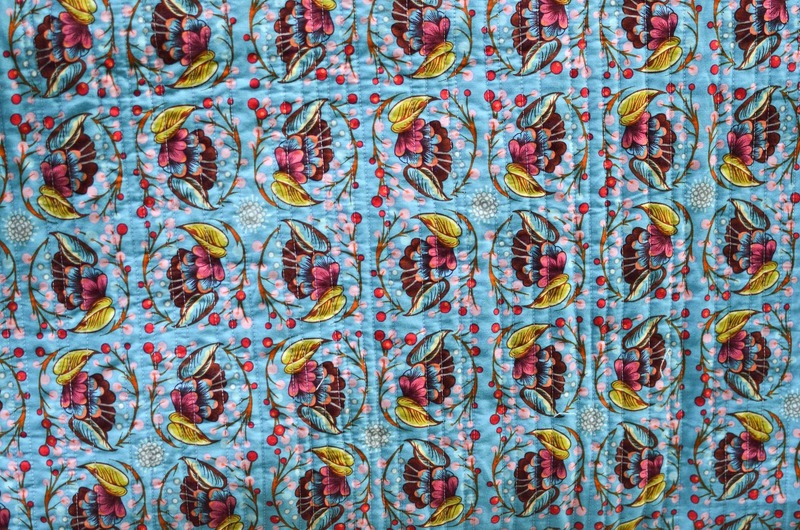 Here is the fabric that I used for the backing. It probably wouldn't have been my first choice, but a few months ago I ordered 0.5 yards of this online. And guess what they sent me instead . . . FIVE yards. The store said that since it was their mistake I should keep the fabric, so it was a natural choice for this quilt. The back is a little crazy and the front is a little crazy so I was hoping the Kona Ash binding would tone things down a bit. I am happy with the result. 5 yards instead of 0.5!! Of loulouthi? Whata score! The quilt is amazing! I did a scrappy Odalolly too and am super pleased with the results. Yay crazy quilts! I love it! I actually love the backing fabric too. 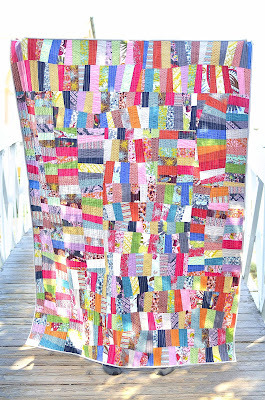 I loooove your blog and your quilts! I'm your newest follower! Binding always takes me the longest too!